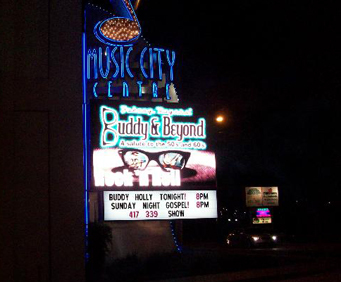 The show Buddy and Beyond has not performed in Branson since 2009 and is currently not playing. 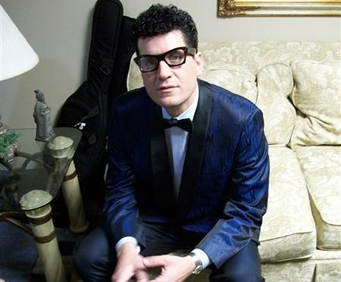 Buddy and Beyond brings you the talents of Johnny Rogers as he offers a flawless tribute to Buddy Holly while also covering the likes of Elvis, Chuck Berry, and The Beatles. 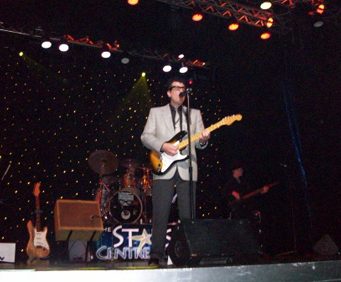 Johnny Rogers provides you with a realistic tribute to Buddy Holly by performing some of his most treasured hits. 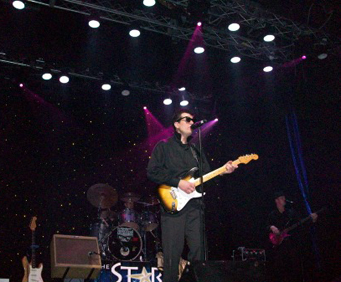 His voice sounds so similar to Buddy Holly's that you'll think you are listening to the real thing. This tribute show is truly a walk down memory lane, bringing you your favorite rock hits from decades long gone. Whether you remember watching the shows of these great musicians in person years ago or you simply love the oldies, you don't want to miss your chance to see Buddy And Beyond on stage at Branson's beautiful Music City Center theater on your trip to the area. My husband and i live in the branson area and we have seen most of the shows in branson. This one is the best there is or ever has been in branson. We would go see the show anywhere from 1 to 3 times a week and always take other people with us and they were as pleased with the as we were. The band is great and they all work every well together. We got to know johnny as well as the bass player and the drummer. They are just as nice as they are good. We would recommend everybody to go and see the show. I wasn't sure what to expect, but i love the music of the 50's and 60's so we took a chance on this one. Couldn't have been more pleased. Some of these oldies shows are just plain cheesy, but this guy really rocks! His entire band was great but johnny rogers was remarkable. He can sound like just about anyone and plays guitar like, well as chuck berry would say, like ringing a bell! Fantastic show if you like real rock and roll. And this was kind of a bonus, i thought... This guy does probably the best johnny cash i've ever heard anyone do. Hard to belive it's been 50 years since buddy holly was killed, but this show certainly is a great tribute to buddy and the others of his time. Worth seeing again.